World Class Machines and Support. Locally. Increase uptime by predicting downtime with one of our pre-engineered PM plans. Welcome to Superior Equipment Solutions (SES). Located just South of Dayton, OH, SES represents some of the finest CNC Machine Tool manufacturers from the United States and around the world. Serving the Indiana, Ohio, West Virginia, and Kentucky manufacturing community, SES can offer your company the best solutions to your manufacturing needs. We offer a broad range of manual and CNC Machine Tools to fit every need. Our Service and applications staff is available to assist in installation, training, turnkeys, and re-tooling. We have the knowledge and experience required to help make your next machining project a success. SES supplies manufacturers in Ohio, Indiana, Kentucky, and West Virginia with CNC Machine Tools, advanced metal cutting equipment, and process engineering. We offer the highest quality turning centers, horizontal machining centers, vertical machining centers, boring mills, Bridge Mills, grinders, EDM, and Metrology/Inspection. 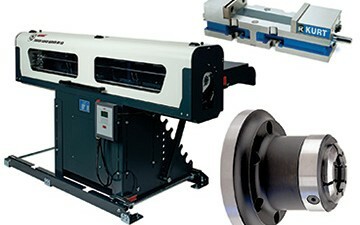 We serve all industries including Aerospace, Medical, Automotive, Mold/Die, Job Shops, High Production, and prototyping. SES offers a full complement of World Class Machine Tools to ensure you get the absolute best solution to your manufacturing application. 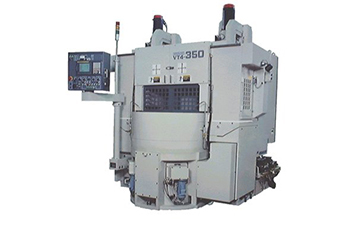 Machining Centers, Turning Centers, Boring Mills, OD/ID Grinders, Surface Grinders, and Inspection Equipment. Our inventory of Trade In Machines, Demo Machines, and other used equipment is changing constantly. Contact us to see if we have just what you are looking for, or if we can locate something for you through our extensive network of used machinery partners. SES partners with the highest quality, most technologically advanced tooling and accessory companies from around the world to ensure you get the most efficient, profitable solution to your manufacturing requirements. Whether it is for a machine you purchase from us, or an existing piece of machinery, let SES help you find the ideal accessories for your application. Looking to order replacement parts?